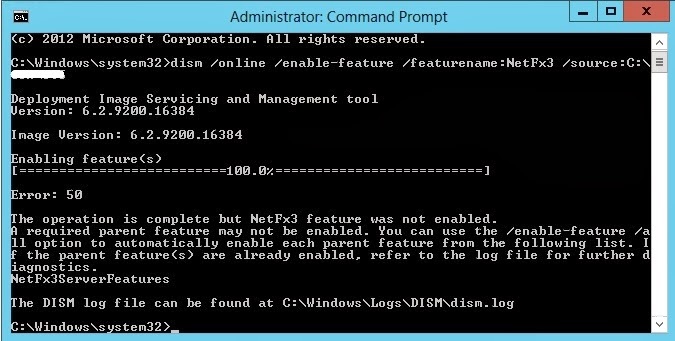 Error while enabling Windows feature : NetFx3, Error Code : -2146498298 , Please try enabling Windows feature : NetFx3 from Windows management tools and then run setup again. 1. Insert Windows Server 2012 CD. thanks very much, this is exactly the issue I saw. Solution is working, thank you! You are the king! Tks! You are the king!! Tks! Awesome. Powershell command did the trick. Thanks!